Everybody knows that rose is the queen of flowers. Not only does it look beautiful but also the extract from its petals or flowers offers restoring and conditioning properties. The best thing is that you can use this flower to make the cosmetics yourself at home. Check how to prepare such a product and learn about its use and properties. Rose oil (also known as attar of roses) and rose water are often added to perfume and natural cosmetics. The attar of roses is extracted through steam distillation. Thanks to its delicate and pleasant fragrance, it is used in aromatherapy. It helps to relieve the stress, improves your mood, relaxes, reduces nervous tension and helps to fall asleep. Interestingly, the rose oil almost never causes allergic reactions. It is antiseptic and soothing. The oil relieves dry, sensitive and irritated skin, lightens tired and grey face skin, strengthens the walls of blood vessels and nullifies redness. Attar of roses is ideal for mature skin care. It smoothes wrinkles, tightens the skin, reduces shadows and bags under the eyes. The attar is also extracted from the fruits of the rose. It contains vitamins C and E and fatty acids. It is used in medicine and cosmetology. It offers moisturizing, firming and nourishing properties. Rose water is a by-product of the process of distillation of the petals. It contains essential oils and flavonoids which are the substances fighting free radicals. It has soothing, antiseptic and anti-inflammatory properties. What’s more, it cleanses and makes the skin elastic and evens the skin colour. 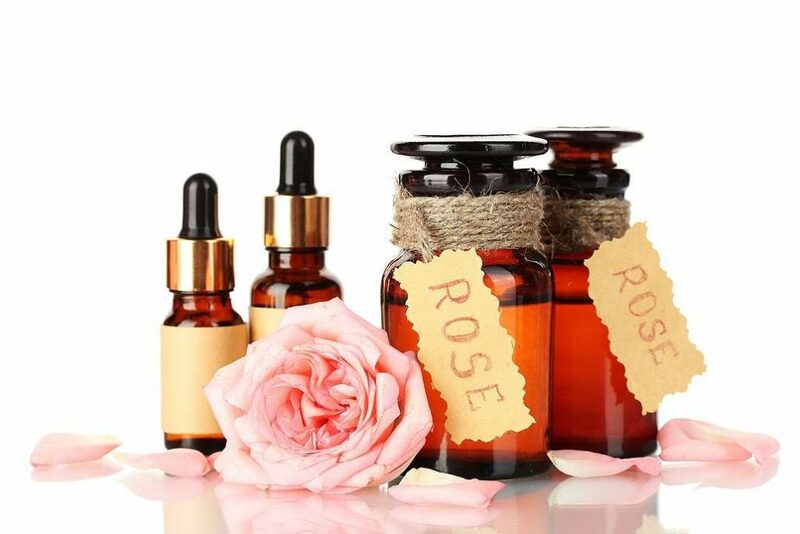 It can be used for any skin type – rose water is regarded as a very delicate cosmetic which doesn’t violate protective lipid barrier of the skin. Compresses with the use of rose water are perfect for tired face skin as well as irritated eyes and skin around the eyes. It is used in aromatherapy. What do you know about an oil extracted from Damascene rose? This flower is found in Egypt, Bulgaria, France, Algeria, Turkey and Iran. The harvest of petals which are used for making the oil and rose water is done at dawn. Why? Only at that time the petals contain most aroma. To produce two pounds of pure oil, 6000-11000 pounds of petals are needed.